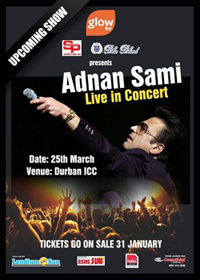 Showtime Promotions, a name synonymous with World Class Entertainment, have once again their quest for unique and unparalleled entertainment, will be bringing to you ADNAN SAMI Live in concert to SA. Adnan Sami is a Playback Singer, Musician, Music composer, Pianist and Actor. 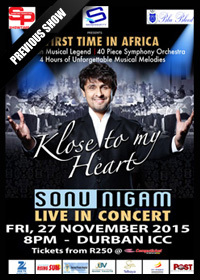 He performs Indian and Western Music, especially for Bollywood Movies. His most notable instrument that he is said to be Maestro on, is a Piano. 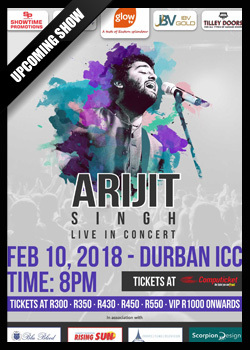 He has performed all over the World to sold out venues, and will now be heading to South Africa with his group of musicians. So get ready to be mesmerised by Adnan Sami with his super hits songs like Tera Chehra, Kabhi to Nazar Milao & his most recent being Bhar do Jholi. 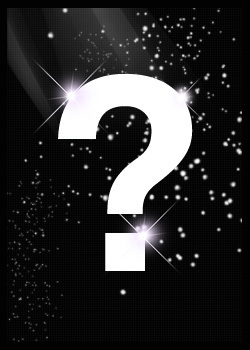 Showtime Promotions, “The Experts in Showbiz”… With more than 40 years of Event Management, Concert Promotion experience and knowledge, Showtime Promotions (SP) represents the new wave of quality entertainment in South Africa. 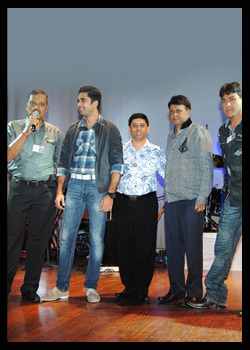 Showtime, has over the past 16 years, already hosted, managed and promoted National and International Events that have set new precedents for the levels of professionalism and quality that has benchmarked this company as the leader in the Bollywood World of Show Business. 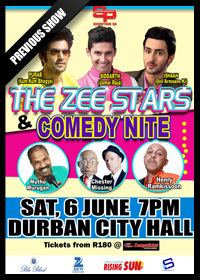 Showtime Promotions have been involved in more than 155 concerts and events, both local and international, in South Africa and in Europe. Wishing for that star to visit South Africa? Drop us a mail...with the star you would like to see. Stars to the people of South Africa. 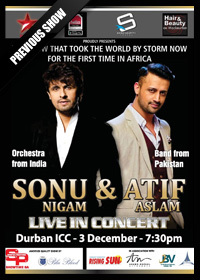 Showtime Promotions brought to you, Two of the biggest icons from Bollywood music industry that performed together on one stage for the first time ever in South Africa. 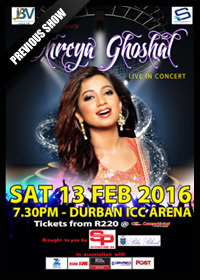 howtime Promotions, a name synonymous with world class Entertainment, have once again their quest for unique and unparalleled entertainment, will be bringing SHREYA GHOSHAL live in concert to SA. © 2012 Showtime Promotions. All rights reserved.